PUMPKINHEAD: Of Morality And Monsters – Schlockmania! It was inevitable that when makeup FX maestro Stan Winston directed a film, special effects would have to play a big role in said film. 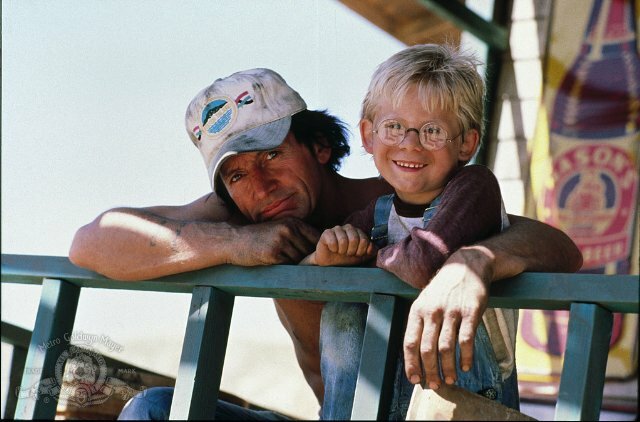 Thus, it was no surprise when his debut directing gig turned out to be Pumpkinhead, a monster flick that highlights the makeup and monster design work of several Winston protégés. However, the film does offer some surprises in how it uses its monster and effects: they are deployed in the service of a morality tale that has a surprisingly old-fashioned feel in its message and sensibility. Simply put, Pumpkinhead is a tale about the high cost of vengeance. The protagonist is Ed Harley (Lance Henriksen), a rural store owner whose life turns toward the tragic when a group of teens visits his store. Joel (John D’Aquino), the hothead of the group, accidentally runs down Ed’s young son while goofing around on a motorbike. As Joel forces the kids to hide out in a local cabin, Ed turns to backwoods mystic Haggis (Florence Schauffler) for magical help. She grants him vengeance in the form of a blood-spawned demon of the title but Ed soon discovers that his revenge is more beastly than satisfying – and he realizes he must stop it, no matter what that costs. 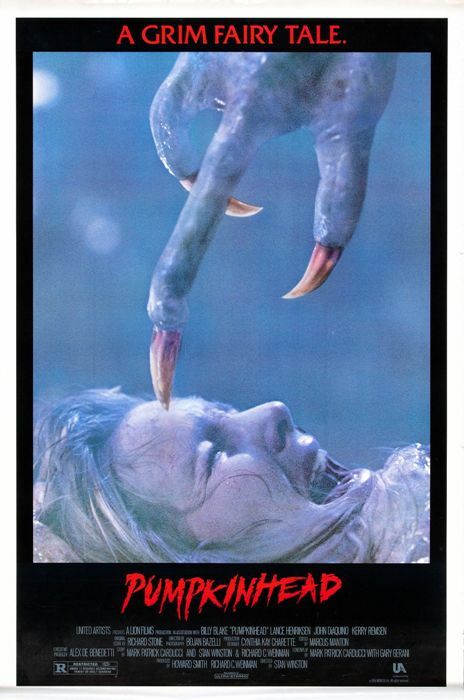 Pumpkinhead could have been another “dead teenagers” movie in the wrong hands with a monster in place of the usual Jason/Freddy-type slasher but thankfully everyone involved in the film worked to make it something more complex and interesting. Screenwriters Mark Patrick Carducci and Gary Gerani, a pair of monster kids made good, use their knowledge to create an old-fashioned film with the kind of symbolic/moralistic heft of a classic fairytale. Though the story has an archetypal approach by design, the writers find little ways to weave surprises into the characterizations and structure as it works its way towards its inevitably tragic conclusion. Winston’s direction of the film is attuned to the humanity inherent in Carducci and Gerani’s script. He never leans on his effects – in fact, he waits a long while to reveal the monster in its full glory – and instead focuses on building the proper atmosphere to support the script. His work benefits from gorgeous cinematography by Bojan Bazelli that aids the film’s fairytale angle by giving it a lustrous, stylized look: in particular, the colored lighting and mist used for the nocturnal forest exteriors have a Bava-esque look. Also impressive is the musical score by Richard Stone that mixes rootsy music elements with electronics. 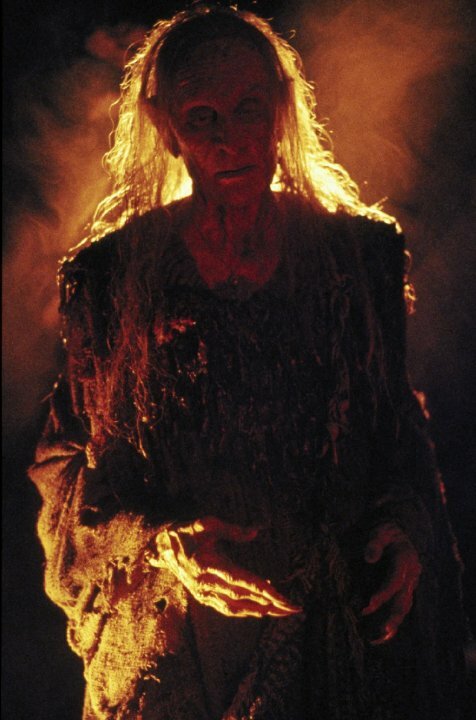 Better yet, Pumpkinhead also allows performances to drive the narrative and help sell the morality play at its core. Henriksen does well in the lead, creating a caring, likeable father and then exploring dark territory with his trademark intensity as tragedy drives him down the wrong road. The teen characters are more complex than usual for an 80’s horror film, with D’Aquino showing an interesting pattern of change as his character goes from selfish bully to genuinely regretful victim. Elsewhere, look for a charismatic turn from b-movie vet George “Buck” Flower as a local farmer who tries to warn Ed about t he danger of revenge and Schauffler’s deliciously creepy performance as the old witch. Finally, Pumpkinhead delivers on the monster movie side of things with an unforgettable design and execution for its title creature. It was created by a team that included Alec Gillis and Tom Woodruff Jr. (the latter also wore the suit) and is the kind of painstakingly rendered, beautifully articulated large scale monster that one rarely sees in today’s horror fare. Winston and Bazelli use shadows and artful lighting to enhance its convincing nature but it’s the work of the FX artists, particularly Woodruff’s strong monster-suit acting, that really sells the creature’s believability. 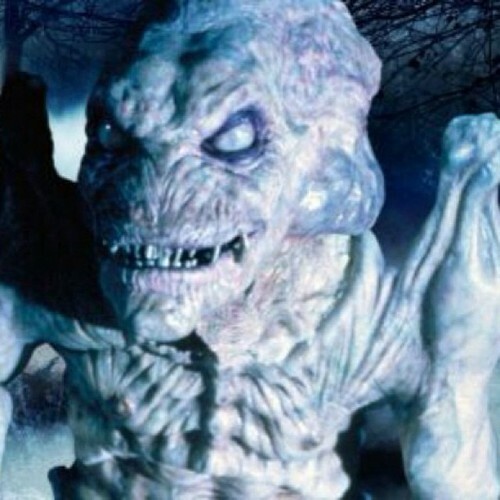 In short, Pumpkinhead offers the best of both worlds for fans of ’80s horror: you get a great creature and plentiful monster mayhem – but you also get a thoughtful, intelligently directed and acted tale that has substance beyond the fun effects. As a result, Pumpkinhead is one of the best monster movies of the ’80s and worth seeing for students of the genre.